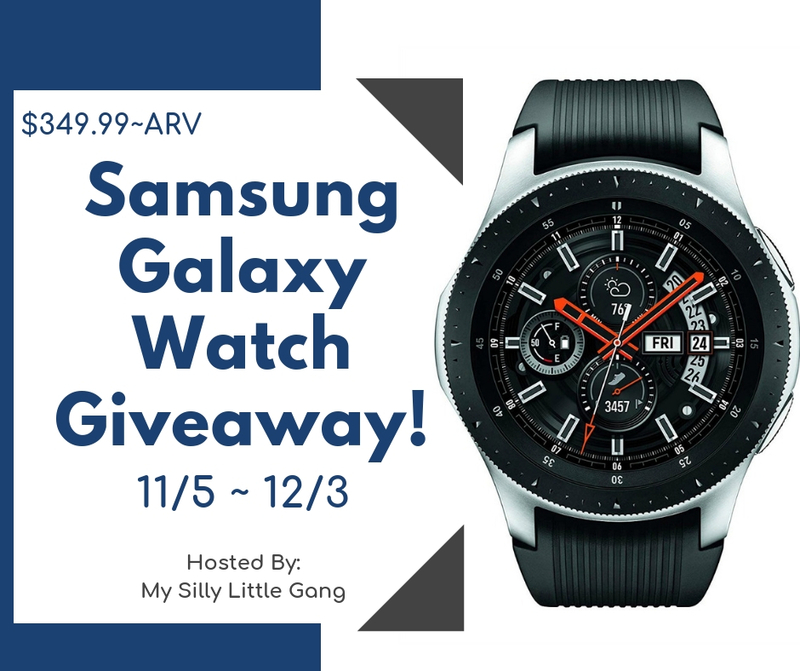 Watches — MumbleBee Inc MumbleBee Inc.
One (1) lucky winner will receive a Samsung Galaxy Watch (Bluetooth, 46mm) in Silver valued at $349.99! Live a stronger, smarter life with Galaxy Watch at your wrist Rest well and stay active with built-in health tracking and a Bluetooth connection that keeps everything at your wrist Plus, go for days without charging! Go for days without charging your watch. —the Bluetooth connection keeps everything at your wrist. *Compatible with select Bluetooth-capable smartphones. 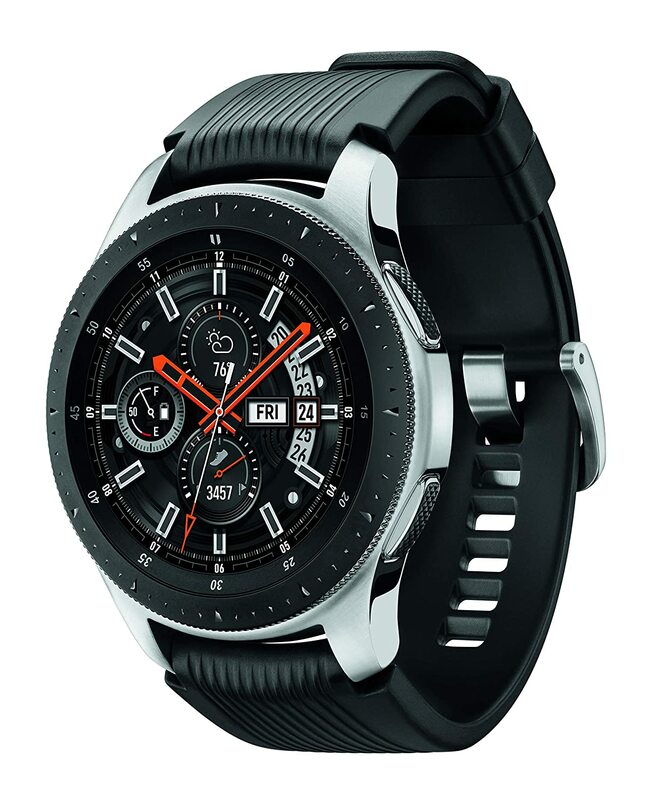 Galaxy Watch supported features may vary by carrier and compatible device. For best results, connect with compatible Samsung Galaxy smartphones.) **Battery life for Bluetooth (46mm) model is roughly three to four days. Battery life for LTE model and Bluetooth (42mm) model is roughly two to three days. Your results may vary. 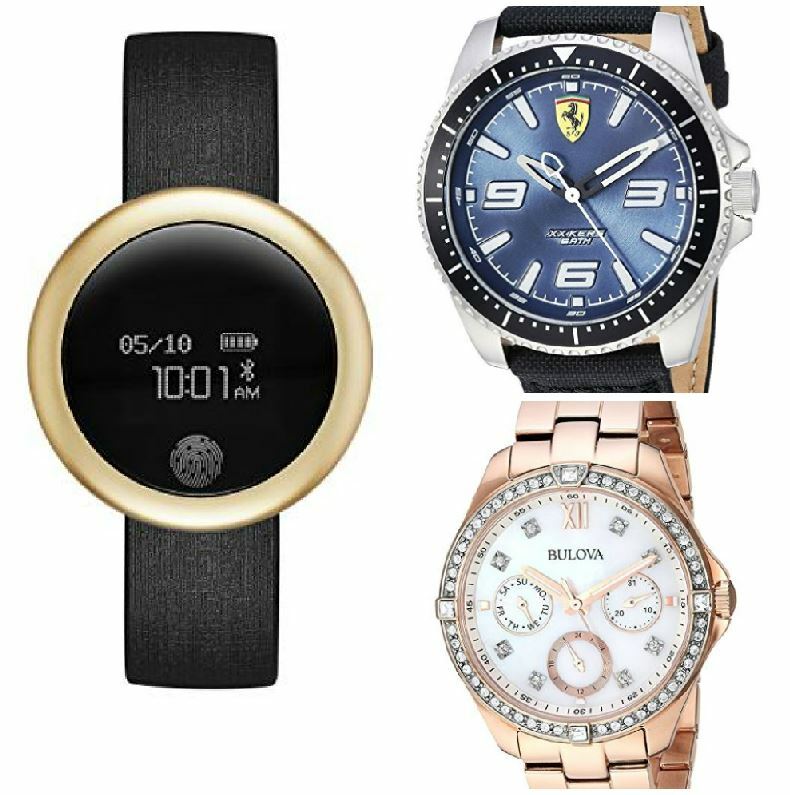 Shop this season’s new and trending product: from bold blues and chocolate tones to hints of rose gold and blush pink, smartwatches and hybrids, and delicate bracelet-style watches. Select styles and sizes are already priced mark to sell. Discount only applies to select items shipped and sold by Amazon.com. The first three winners will get one of these Hawkey Goly Waterproof Quartz watch for men with date display chronograph sport analog watch with genuine leather band valued at $54.99. Protected by elegant box and professional policy: 1 Month Money Back, 12 Months Free Exchange,24 Months Warranty and Best Customer Service. Three second place winners will get one of these Hawkey Goly Digital Watches for Men Stainless Steel Watch multi-function waterproof sports watch valued at $64.99. Packaged with elegant box and delicated operation manual and comes with a scratch-resistant mineral glass and stainless steel case cover. 2 Years Warranty. This giveaway is in no way endorsed, affiliated, or associated with Facebook, Twitter or any other Social Media Networking Site. You are not eligible if you have won a prize from the sponsor in the last 12 month. This Giveaway is valid in the United States Only and Entrants must be 18+ years of age to enter. This giveaway event will end at 11:59 PM (EST) 2/14/18. The winners will have 48 hours to email their information back to las93063 at gmail dot com or a new winner will be drawn, you may want to put this email address as safe as it could go to spam. The sponsors are each responsible for shipping of the above prizes. No blog associated with this contests are responsible for prize fulfillment. If you would like to be a sponsor in a giveaway like this please email Laura Smith at las930 (at)gmail (dot) com. If you take an entry you must stay following for the entire contest or you will be disqualified. One winner will receive a custom-made watch from Monthly Watch Club. They hand pick each watch and carry brands like Breed, Simplify, Morphic, Heritor, Reign & More! This is a great gift for the people in your life whom always like to look good! For style fanatics and generally anyone who digs sweet watches! You can read the Monthly Watch Club review Here. 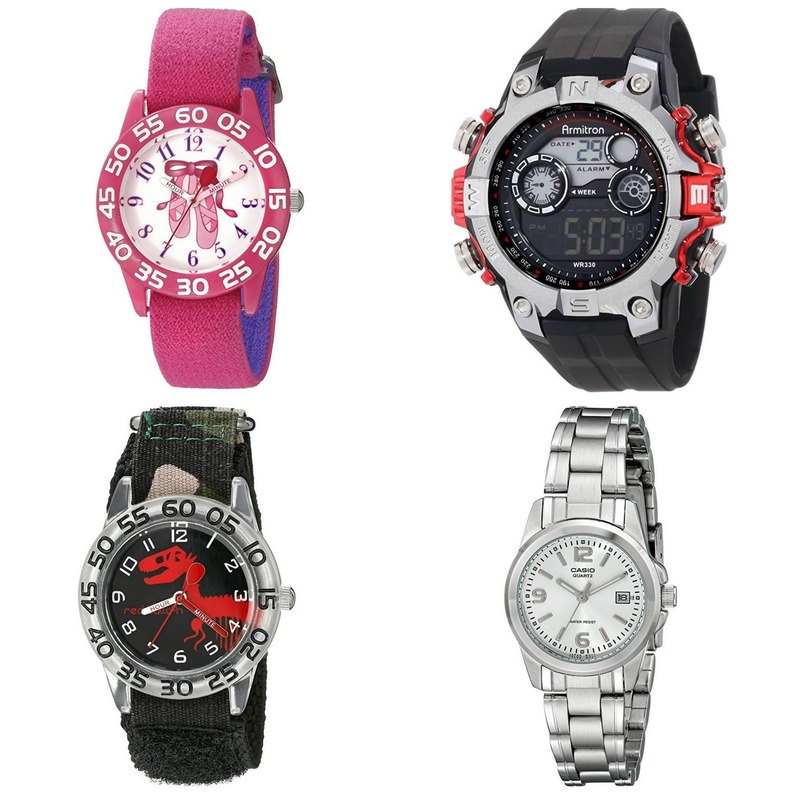 Deal of the Day: Save up to 40% off Watches for Back to School for 8/30/2017 only! Today only, save on men’s, women’s, and kids’ watches – perfect for back to school. Select styles and sizes are marked with discounted prices. Deal of the Day: Save up to 60% off Bestsellers from Top Watch Brands for 7/10/2017 only! Offer expires at 11:59 p.m. (PT) July 10th, 2017. Deal of the Day: Save up to 50% on off Fashion Watches for 10/26/2016 only! We grew up on tree lined streets with slow driving cars, and plenty of friends to play on the pavement with. No matter the season, the weather was always perfect and the sun always went down too soon. Life is good. Life is simple. No need for the bells and whistles. Just like our Fieldcrest Series. Magnify your personal style with the depth of color in the dark sandalwood; a true compliment to all skin tones. The natural dark sandalwood is hand finished and pretreated with tung oils. The Fieldcrest is splash-proof but should not be submerged in water (3 ATM). JORD is run by artists, designers, marketers, and minders. We spend our days creating, considering, arguing, and hopefully agreeing. Then we’ll scrap it all for the joy of starting new. We have fun. This is our journey. One Winner will receive a watch of choice valued at $129. 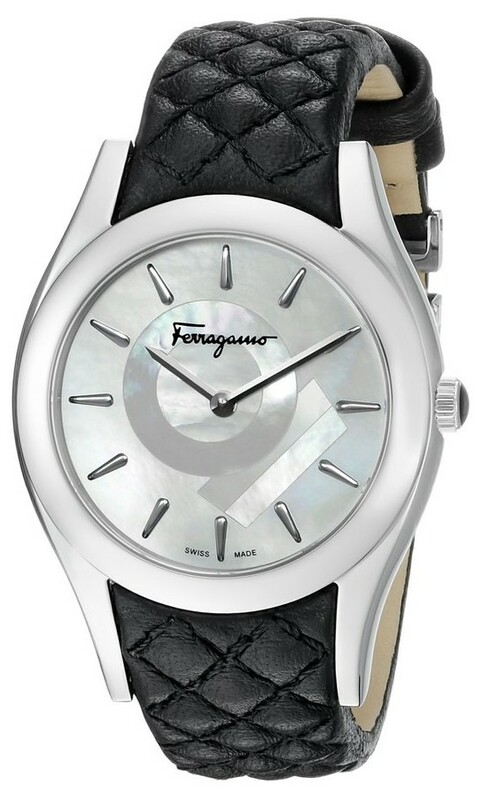 Deal of the Day: Save up to 70% on Salvatore Ferragamo Watches for 10/06/2015 only! Today only, save up to 70% and enjoy Free One-Day Shipping on Salvatore Ferragamo watches for men and women, including classic everyday styles, sleek gold with a touch of luxe, and more. Today only, save up to 70% and enjoy Free One-Day Shipping on Salvatore Ferragamo watches for men and women. Select styles. Prices as marked.